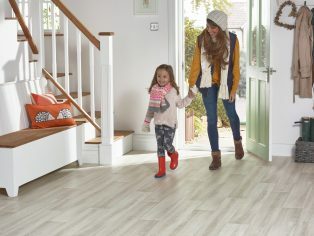 Polyflor, the UK’s residential and commercial vinyl flooring specialist, has launched their new Secura PUR collection of luxury vinyl sheet flooring, designed to create inspiring home interiors for modern living. Made in the UK, the Secura PUR range features 22 designs which authentically replicate the natural character of wood, stone and abstract materials in a practical and durable sheet format. With 12 wood effects, nine stone effects and one abstract design in the collection, on-trend new additions include white and grey oaks alongside contemporary concrete and slate effects. All Secura designs include grain patterns, surface textures, tonal variations and subtle detailing for a realistic look that is more affordable than natural materials and easier to maintain. 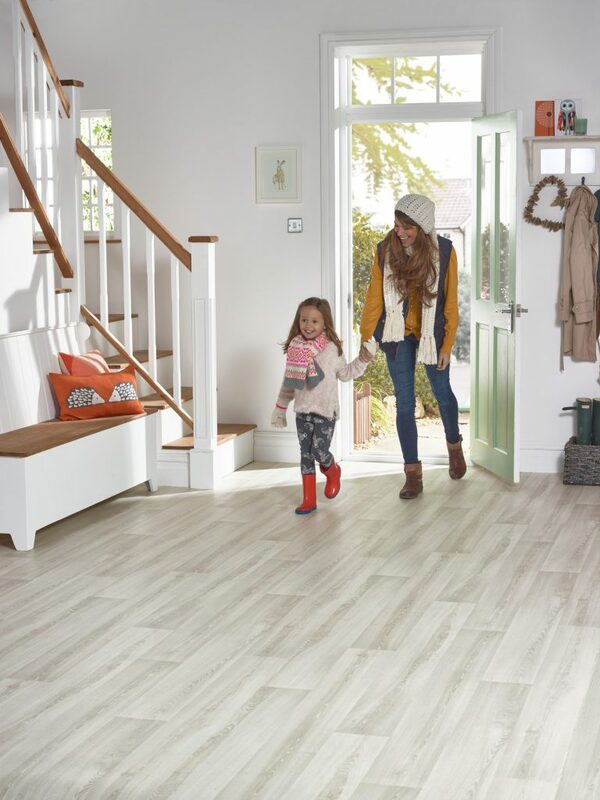 Available in two, three and four metre widths to accommodate larger living spaces, Secura has a 3.0mm gauge and 0.35mm wear layer with SureTread R10 slip resistance to help prevent slips in the home. The addition of a soft-backed layer provides warmth and comfort underfoot, plus aids in reducing noise between rooms. With a 20 year domestic guarantee, Secura features PUR polyurethane reinforcement which is cross-linked and UV cured to help prevent stains and scuff marks, allowing for a simple polish-free cleaning regime. Secura flooring is also suitable for commercial applications such as light traffic areas within hotels, conference rooms, boutiques and small offices. Secura is 100 per cent recyclable via the Recofloor vinyl take-back scheme and also achieves Indoor Air Comfort Gold certification for low VOC emissions, an internationally recognised indoor air quality standard. Now in stock, the Secura PUR range is showcased within Polyflor’s 62 page brochure, a comprehensive sample presenter and shadecards. Free Secura product samples are available to order from the Polyflor website or via the Samples Direct Hotline on 0161 767 2551.